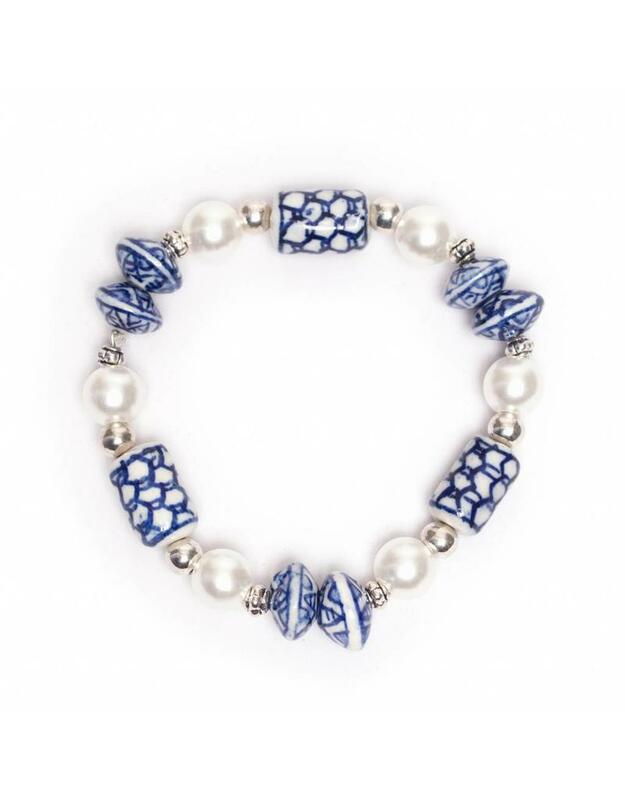 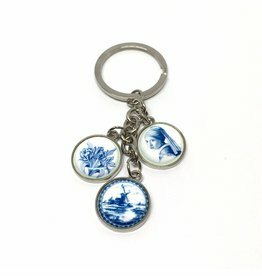 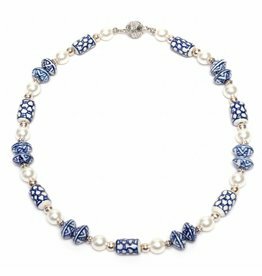 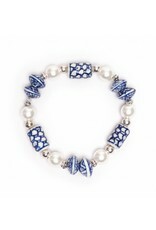 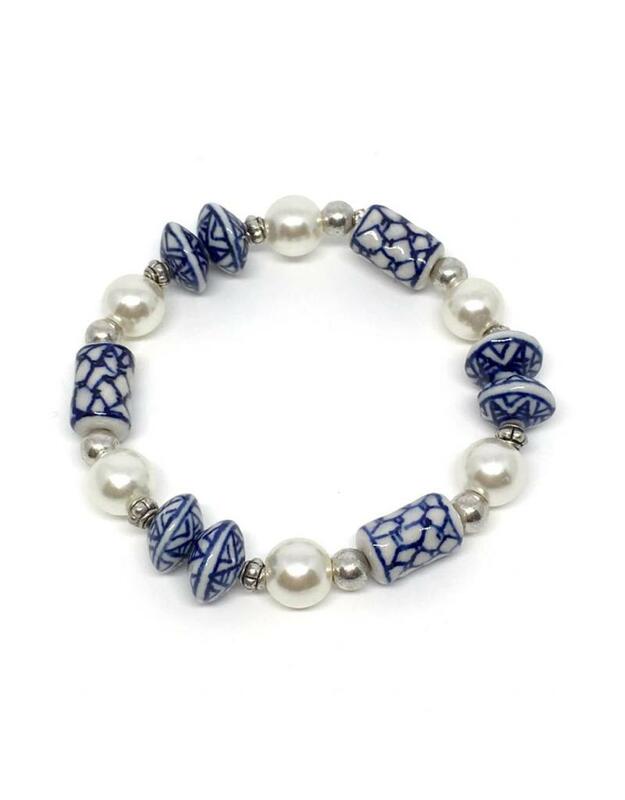 Bracelet with Delft blue beads of glass. 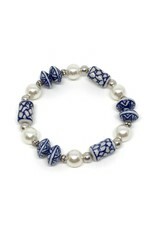 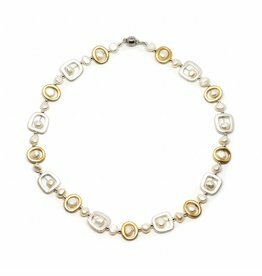 The beads are strung on an elastic band, the bracelet is easy to put on without closure. 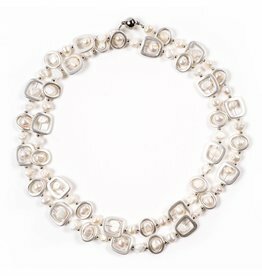 Brooch of real freshwater pearls. 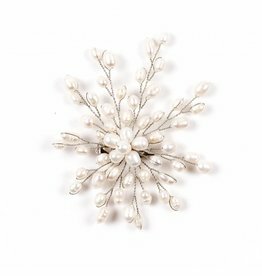 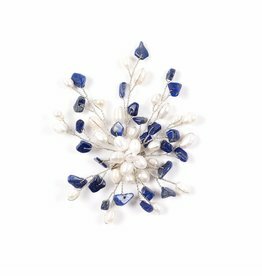 The pearls are knotted into brooch on metal wire. 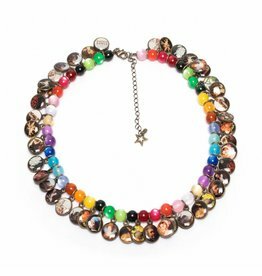 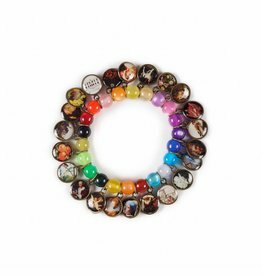 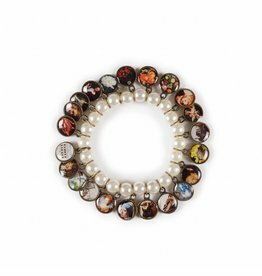 Multicolored bead necklace with charms from the masterpieces of the Mauritshuis.